There is a new A.F. 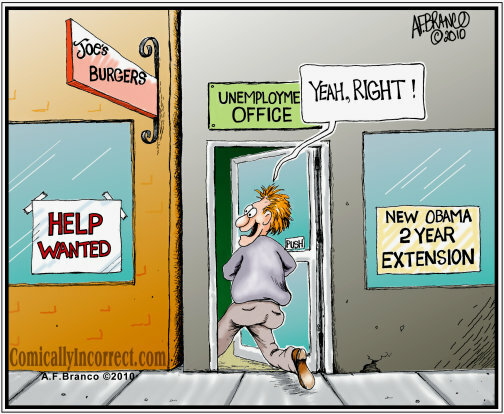 Branco poltical cartoon that depicts a guy walking into the unemployment office right next to a Joe's Burgers with a 'help wanted' sign in the window. "Yeah, right!" the man says with a big grin on his face. It's a funny cartoon, even if I disagree with this convoluted idea by some, that the unemployed are lazy people looking for a handout. The economy goes into a tailspin, and companies start slashing jobs by the hundreds of thousands, and suddenly the people left in the quagmire are the bad guys? Look, I'm not going to play the blame game here. I've said it so many times that I'm quite literally now red in the face that everyone had a role in this entire economic situation that we are unfortunate enough to happen to be in right now. All the way down to the homeowner who took on too much house, on up to the guy who gave the loans out, and then sold the paper on those loans, and even further on up the line to the government officials who created Freddie Mac and Fannie May and the laws that allowed people with no money to buy houses in the first place. The fact is that we are in this mess. And let's face it. Who is hiring? Companies are hording cash right now to the tune of nearly $2 trillion. That's a lot of money. That's twice the size of the stimulus. And if you're in the camp of those who believe the stimulus saved the world, then $2 trillion could certainly be universally beneficial. Especially if that $2 trillion went into job creation. It's not going into job creation at all. So, the question becomes, what is a guy to do in the meantime? The bills still must be paid. Letting the bills go and perhaps even letting the rest of America fail will do no good for an already beleaguered economy. Things are what they are, whether we like that or not, and so we simply have to do what we have to do. We all know that so long as there is money to be handed out there will be those individuals who will take full advantage of that opportunity. Without a doubt there are many people currently on the unemployment rolls who are not actively seeking work, who are simply collecting their benefits and getting by until they reach that critical 99th week. I get all that. Hey. The bankers did it too. They paid themselves exorbitant bonuses—after the government sent checks. What exactly were those bonuses for? Who knows? It certainly could not have been for a job well done. They nearly imploded the entire world economy. Perhaps they should have been jailed, not paid. But that's another story. Some of those guys aren't bankers anymore. You could say that they are unemployed. How actively might those guys be seeking work with those multi-million dollar bonuses sitting idle in their bank accounts, I wonder? Government money, by the way, that was provided by the bailouts...just so we're clear where that money came from that we're talking about here. I'm not suggesting that bad behavior ought to be justified by bad behavior. But I'm also—and let me be very clear here as well—not suggesting that all of the bankers and politicians were engaged in bad behavior. Some of these guys simply found themselves locked into a terrible situation just like everyone else, and when the help came they took it legitimately, and put it to work legitimately. The same logic applies to, what I think adds up to the bulk of, the people who are currently collecting unemployment benefits. Not everyone is simply taking the money and running with it. The question is, for how long do you help these people? 99 weeks is certainly a long way away from the traditional 26 weeks that unemployment is usually provided for. But, bear in mind that we are also a long way away from the good economic times we were enjoying before the bottom fell out. 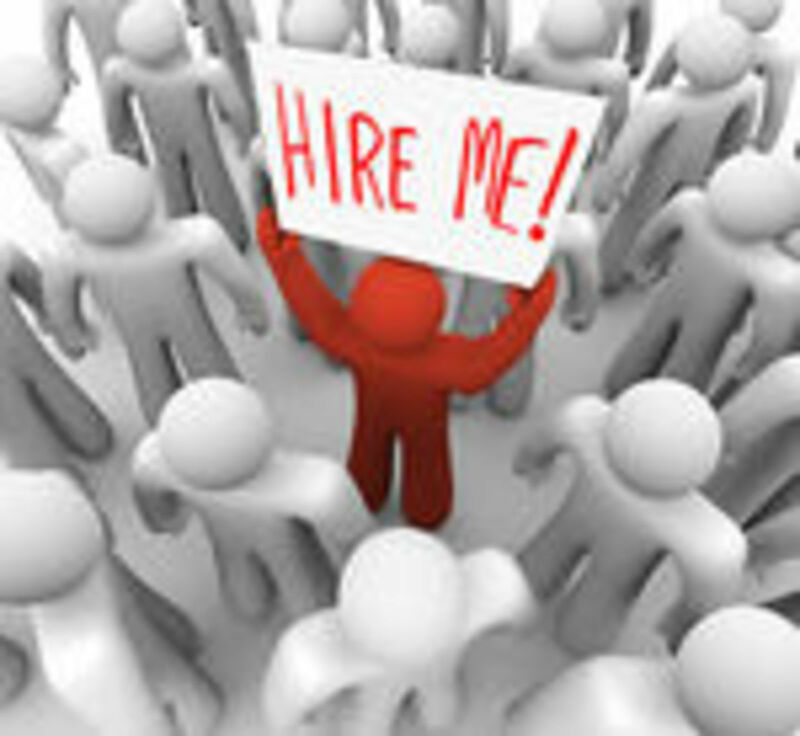 I simply go back to what I said earlier about the question of, "Who is hiring?" The answer is not too many companies. The question of how long you continue to pay the benefits for me is, until you have jobs creation numbers every month that are at a rate that replaces old economy jobs numbers and adds new ones. And by the way. Let's talk about something else that we sort of have to factor in here. It's not just the question of who is hiring. Of who is hiring, what are they paying? And as we add and create jobs, what real benefit do they provide if they essentially represent a step backwards? I get very frustrated when I think back to how badly we wanted to be a service economy. This is progess folks, we were all told. We don't have to make things in America. That is for those countries that are still developing. Here in America we have come of age. But what of that? What happened is that we did shift primarily to a service economy. What we didn't shift to was a service economy that paid the good wages and benefits of the industrial economy. Even service jobs now are being shipped to India. Where does it end? This current economy has scraped away at an already eroding industrial base. More industrial jobs have gone away during this stretch. And as I said, even the few of the higher paid service jobs have gone away, or at least are in erosion. So, I ask. What's left? McDonald's? Burger King? Walmart? Not that there is anything wrong with those kinds of jobs. At least, there's nothing wrong with those kinds of jobs from my perspective. But how do most people feel about them? We look down on them. We look down on the jobs, and we look down at the people performing them. We look at them as unskilled, unmotivated lower end class people who are more dregs of society than productive. Never mind that the jobs they hold are pretty much the bulk of what's left. Never mind that they are hard working people for the most part just trying to do what they can to keep going. Never mind that some of them just may be a former banker, or a former factory worker who cannot find any other type of work at the moment. But this leads me to my original thought that pay is important in considering whether coming off of the unemployment rolls is even worth it to take a job that will pay the same as, if not less than, what the unemployed are receiving in benefits. The stimulus was sold as being able to right the economy. Create jobs. Make things better. People who worked to get fired to get on those unemployment rolls in the first place expected more bang for their buck. They expected results. And why do I say bang for their buck? Because before they were the unemployed, they were the working American taxpayer. And because when all is said and done and they are back to work they will return to that status. It was their money then. It's their money now. It will be their money tomorrow. We're not talking about welfare recipients here. And by the way, the thought crosses one's mind that if Walmart and McDonald's and Burger King are such large employers these days, why aren't they paying more? Why are these jobs still considered the bottom of the rung of the ladder? Who else will do these jobs? Someone has to do them. The thought also crosses one's mind from a logical perspective that if I were to take a job that would pay less than my former job that would also pay the same as, or less than what I'm currently receiving in benefits, what does that ultimately mean to me? Very simply put, if I stay on the unemployment I will not get ahead. If I work a lesser paying job in a lesser field, I will not get ahead. If the end result is exactly the same, why would I choose the path that I have to work for? Yes. I'm a hard worker, right? Yes. I'd very much rather be working than sitting at home. But why do I work? Why do you work? Do we work because we have nothing else better to do with our time? Logic says to me that we work because we have to. And we work because we want to continuously improve our lives. If we work hard we'll get promoted. We may get a pay raise. We'll get ahead. I think its a very real question now and going forward what we must do to get the service economy on the same middle class building track that the industrial economy put us on. It will not work any other way. If the idea of progress is that we put the middle class back onto the poverty line and take good paying jobs away and replace them with lower paying jobs, it will not work. The economy will not work. The whole point here is that the economy is getting better, a little bit at a time. But we still do have a very long road ahead. There are things we will have to do very differently now once we are out of this mess that I wrote more extensively about in my two-part hub series, "After The Great Recession." We'll have to save more, for example. We'll have to spend less. We'll have to change our attitude about free trade and capitalism. We'll have to make more of an effort to buy American whenever we can. In the meantime, we have to take care of the worker who got caught up in this mess. And we have to stop so quickly referring to him as nothing more than a worthless, lazy bottom feeder looking for a handout. It's simply not the case. And until companies start hiring again, here's a newsflash, there will be unemployed people. Why Does Islam NOT Have To Practice Tolerance? I'm not going to say that there aren't times when job cuts are a necessity. Labor is costly to any business, even if that labor is also at the heart of what drives that business forwardyou need people to execute the ideas and satisfy the customers. Do you feel that allowing 99 weeks of unemployment benefits is...? Perhaps old but not forgotten? Thanks for stopping in for a read. I certainly think outsourcing continues to be a problem, and when it comes to SERVICES now being outsourced more and more, it breaks down, IMO, even further the argument that was made years ago that it was more cost effective to be a nation of people who could rely on other countries to produce our goods so that we could "progress" into a country of people who simply provide services. At what point do we as Amercans, or you as a Brit, say enough is enough? At what point do any of us decide that at some point if the only people who have jobs are NOT in our own countries, where we will see the point to all of this "progression?" I think we're beginning to wind up in a bit of a conundrum here, are we not? And certainly our economies are not doing well as well, I think, in an indirect way because much of any "progression" we saw economically was based on credit. Not wages. Now that credit is not what it used to be, people are able to see that all that credit really WASN'T the replacement for wages that they thought it was. The days of the cash cows are over. Infact, I think the cash cow may actually be suffering a case of mad cow disease. I know this is an old hub but fancied reading. I have seen the same happen in the UK, now even the services like Customer services are going to Asia. There is nothing here now. I'm reminded of a guy I saw just the other day on Judge Judy. He told the judge, "I can't work. I'm disabled." Of course she asked the usual, "How are you disabled?" He proceeded to roll up his sleeve and showed her his arm which had a bone missing. He kept doing this wave thing with it. "Sir, there are people with no arms that still work." He shrugged his shoulders and chuckled, and said, "Well, it's not me it's the state of Texas says I'm disabled. They cut me a check." Moral of the story was basically something she said in closing to the man in typical Judge Judy fashion (which I love by the way). "Can you say hello?" she asked. The man said "Well, yeah." "Then go put on an orange vest and be a Walmart greeter." Is it right? Is it wrong? That's not always an easy question. Even take my stance on CEOs for example. Do I fault a guy like, say, Mark Hurd for cashing his $40 million check? Or do I fault the guy that hands him the $40 million check? I'm fascinated by your unemployment poll thingo. I've got to learn how to jazz up my hubs like yours. But twice in my life I've had excellent opportunities to get in on the unemployment handout line. . . .and I didn't. No, I do NOT think I'm some sort of saint for not trying unemployment-I think I'm sort of insane. I had no idea that you could get unemployment for so long-I'm afraid that I'd get so used to it that it wouldn't be beneficial to me. When I saw how long such benefits are available for. . . .I instantly thought that 52 weeks would be more what I think would be right-but that's a WHOLE YEAR! I'd have thought that I'd be more liberal minded on that-but I guess not. The thing that gets me is why the working class is so immediately considered unambitious ne'er do wells, always are considered overpaid, yet CEOs are considered highly motivated, and largely UNDERPAID—if the underpaid part wasn't true there'd be no explanation for the rise in CEO pay we've seen over the last 20 years or do, which has been enormous. The reality is that there is no direct correlation between what you are paid, and what you are worth. There are simply too many examples on BOTH sides of the fence to illustrate that reality. Great Hub Springboard. In fully agree with you. I work hard but if I lost my job and had to take a job that paid the same as benefits well you know I would stay home. In Arizona the maximum pay out of unemployment benefits is $250.00 a week or $1,000 a month. I know I could never live on that. I would lose everything, if I took a job that paid this much or benefits, so what would be the point right? Too bad to many fake Republicans claim the jobless are lazy and giving benefits will spoil them. Unless these idiots think $1,000 a month is alot of money then the are very far removed from the working class. Great Hub. I don't think anyone at the top truly realizes nor appreciates the real work of the working class. If they did, they'd not be so glib in their assessment that workers are overpaid...or lazy for that matter which I hear all too often and really irks me. Great hub. I worked in jobs that were not everyone's cup of tea. I worked in some pretty crummy jobs, but they put milk in the refrigerator for our baby. I have no regrets. I would have shoveled crap for my family even if I had to hold my nose. I worked so many dammed double shifts and fell to sleep standing on my feet that it ain't funny. I have sweat in six shirts in one day in boiling heat, and worked frozen sick with pneumonia and now I live with congestive heart failure, diabetes, breathing problems, and in a world of hurt, but I would do it all over again. RunAbstract, your story is similar to so many folks. I applaud your intestinal fortitude, and your ability to adapt to a changing tide. As for your unemployment benefits, you should have taken them. Unlike welfare, the working folks earned those benefits through years of hard work. And especially in a time like this, where we are clearly in an economic situation which is highly outside of the norm, those who HAVE lost their jobs have lost them through no fault of their own. Great comment, and thanks for stopping in to share it. HappyHer, for me that, I think, may serve to overcomplicate the matter. In another hub it was mentioned, I believe by Eovery, that when we were in a normal economy. 26 weeks was sufficient time to receive benefits and find a new job. I would still agree with that. Right now I think 99 weeks is acceptable so long as jobs numbers continue to be weak. This is a very thought provoking article. I worked in the manufactoring industry for years and years. I liked my job. I was good at my job. I was glad to have benefits. I was grateful for the incentives, the more I produced, the more money on my paycheck. Then my job went south... and east... to another country. I was out of work a very long time, and decided against appling for unemployment benefits. It was hard. The kid and I ate alot of starch, and my savings evaporated pretty quickly too. But we made it by, changed the way we live, look at things, budget, and I believe came out stronger in the long run. I'm working now, for alot less money than I used to make, but I don't have to push myself as hard, have more time at home, and am slowly regaining alittle stored away capital. I don't resent people who are getting their unemployment benefits. But I'm with you! Those trillions of dollars the BIG DOGS have tucked away could do alot of good spread around. This was really a very good article. I think the length of unemployment should be aligned with how long you paid into unemployment and how much you paid into it. Peggy, it's a very sticky situation to be sure, and I can't disagree at all that the stimulus money would have been tons more effective had it been better directed. Springboard. You explained the housing failure so great. It should be made into a hub. I wonder if Jeromeo will come back and read it. Probably not. I may comment on one of his hubs that he needs to come back and read, and learn. Pamela, that's been one of the big issues with Obama. He's targeting certain businesses and leaving others behind. The $700,000 to dance choreographers is ridiculous. As for the stimulus as a whole, with all the problems with the housing markets, I'm still not clear why no tax break for homeowners upside down on their mortgages. This would be something I'd support MORE THAN giving an $8,000 credit to someone ELSE who can't afford a house. Vocalcoach, I look forward to it, and thank you. Billy, like you pointed out, there are positives, but they are fairly well scattered right now. But the fact that positives are cropping up more and more bodes well, I think. While double-dip recessions are extremely rare things, there's still some heavy sentiment out there that our current V-shaped recovery could become a W-shaped one, and so long as that sentiment exists, people will hold back. Excellent hub! When they point to all those jobs being created with stimulus money, many if not most are government jobs instead of the private sector. It is the private sector that creates most of the wealth and it is the private sector that employs more people. I got a kick out of reading one of the comments above. I also have kiddingly said that with the money spent on the stimulus...every man, woman and child in this country could have been given their fare share of it instead and PRESTO!, it would have helped the recovery faster. Some would have saved it, some would have spent it and others would have invested it all of which would have helped. Now instead, we are each one of us saddled with more debt with the interest on that debt piling up to soon unsustainable levels. This is not a kidding matter! As to the unemployment benefits...for all those people truthfully seeking jobs, it is a necessary bandaid to keep them from bleeding. No easy answers as to the right amount of time. For those who abuse it...the time limit should have been yesterday no matter how many weeks they have been receiving them. Another great hub - I can't really add to much here only thing is I am of the opinion that sections of our economy is doing better than expected but really have a lot of basket cases and a split economy if you like. I think this will continue for a while like this also. Today we had better ADP numbers and PMI - Europe had better banking numbers and Toyota had good numbers and Australia had a record trade surplus so there are positives. Nifty, I certainly don't dispute that some people surely do that. I'd say the majority, however, have a working mentality and see the value in gainful employment over unemployment benefits. Eovery, yeah, I definitely agree that the majority of the so-called "stimulus" was misdirected. We could have done much more with that money, and actually, the best stimulus probably would have been just simply going to the business community and asking "what do you need me to do to get you on the right path, and ultimately to the path of hiring? How can I help you?" I'm a new fan! Enjoyed your hub and the views you take. Well written. Will be back for more. Jeromeo— While I agree 100% with your assessment that UTLIMATELY the failure of the housing market was due largely as a result of greed, I think to classify THAT as having been THE primary underlying factor is false. To say that the right was a major cause is patently false, as it is patently false to suggest that the right somehow was in a plot to "show the world that helping poor people is not cost productive." I'd say that's even borderline crazy to suggest that. As far as Freddie and Fannie are concerned, they are bad entities to be sure. But they were NOT set up to be destroyed. Essentially the government, namely the democrats, wanted to make homeownership more accessible to lower income families. The banks were fearful of this, and for obvious reasons. They have to maintain a certain level of solvency, for example, in order to operate. They are also in the business of managed risk. Offering sub-prime mortgages adds a ton more risk to their portfolio of loans, even if they can charge more interest on those loans. Fannie and Freddie were set up to make it easier for banks to take on the risk by BACKING the loans. Fannie and Freddie bought the loans, backed the loans, and made money on the premiums paid into PMI payments. In order to further reduce risk, banks began engaging in CDOs and credit default swaps, and all kinds of other things—and yes, they made money. No doubt. And yes, there was far too little regulation and oversight. Yes, the valuations on most of this paper was based on phantom accounting. Greed may have beat it all up in the end. But getting there in the first place was a product of more than greed, unless you want to lump political gain in with the greed factor, which I could perhaps agree with to some extent. As for what REALLY helps the poor to rise above economic slave status, it ISN'T handouts. My aunt, for example, has this idea that if she gives her son everything he wants, he'll somehow be better off. What she should have done, instead, was to instill him with values. To teach him the value of hard work. She should have helped him to understand the value of a dollar. She should have taught him that sometimes you can't always have what you want until you have reached a position to DESERVE it. Right now he doesn't work. His mother pays for his 2010 Subaru, she pays for his insurance, she pays for his gas, and when he gets tickets—which he does—she pays for those too. My aunt, BTW, is far from rich. Her household income is less than $40,000 per year. She also gives him money to spend to take his girlfriend out. He's now pushing 20. I started to work when I was 14 and I never stopped. And I was thankfully brought up to appreciate money and understand its value, and now as I near 40, I've got a pretty good life. I started with NOTHING. I was handed NOTHING. I would ONLY be an economic slave if everything had been handed to me on a silver platter. I could go on and on. You talked about people being "forced" into ARMS, and other unscrupulous deals. People have to be informed in their lives. They can't walk around rooms with their eyes closed and not expect that they'll run into walls. 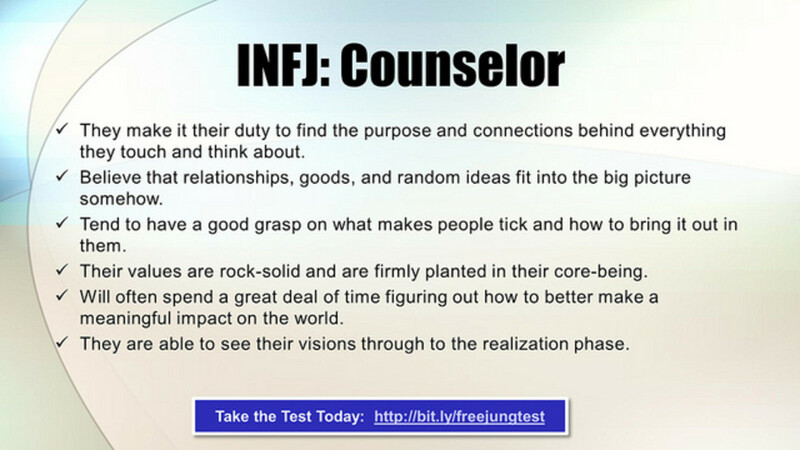 You can't be naive and believe that the world is full of people with your best interests in mind. You've got to look out for #1. BTW, you absolutely do NOT have to have equity to start a business. The most successful businessmen started with nothing. Absolutely nothing. Bill Gates started Microsoft with nothing. Warren Buffet bought his first farm at 13 with money he got from collecting returnable bottles. The founder of Nike started his company from the back of his station wagon basically. What IS the requirement for starting a business? Action. Guts. The willingness to take on risk. And the ability to tell others you have a great idea that they'll want to invest in. I could comment more, but this is getting a bit long. I value your opinion, but I think you're quite a bit off base on the majority of your points. $700,000 to a university in NC to work on some program to help dance choreographers with dance routines. What if that money was given to a manufacturing company to expand and hire people? I think the economy is about where Obuma wants it so we can have more big government programs. Tom, your closing comment summed it up. We MUST make an effort to buy American whenever and whereever we can. It's hard as hell to find American made goods these days. But find them we must. If we don't work a little harder to find them, WE WILL BE WORKING HARDER TO FIND JOBS! Sheri, that's key here. It doesn't matter what the bank tells you you can afford. It doesn't matter whose math points in what direction. What matters is your math. What matters is what you know is what you can afford. That's where so many people got it wrong. They figured, "This guy in this suit knows better than me. If he says I can do it, maybe I can." It's a fools game to let someone else dictate to you what you are capable of, or not capable of. Too many people fell into that trap. Unfortunately I still see the 'training' of the younger generation on shows like "Property Virgins" on HGTV. She says, "So, you have $20,000 to put down and the bank has approved you for $250,000, so you can afford a house for $270,000." Incorrect. If the bank says I am approved for $250,000, and I have $20,000 to put down, I will look for houses for $250,000 and will mortgage $230,000. The down payment, IMO is not to buy more house, per se, but to reduce the mortgage. It's a backwards world we live in. Springboard, The stimulus package cost over 800 billion, and saved about 700,000 jobs. The is over 1.1 million dollars per job. It would have been a lot cheaper just to hire 1 million people at 50k, that would have been only 50 billion dollars. The stimulus failed. At 800 billion, at 50k a person, that would have been 16 million jobs. Then the taxes, and revenues generated by this would have stimulated the economy so much that the taxes and everything would have paid a large portion of this. The stimulus was not to save jobs, but to do the liberals agenda. Also, looks like we picked up another koolaid drinker above who hasn't smarten up to what is actually going on in Washington. I don't think most people get serious about finding a job until their unemployment benefits get close to expiring. I've heard of unemployed people turning down jobs that pay over $14.00 an hour because they could make close to that on unemployment. Great hub! I been preaching since the early 1980's when I saw the trend away from manufacturing to service where we would end up and now we're here and thats up the creek without a paddle. Unless Americans start buying American made goods we're Kaput!!!!!!!!!!!! I read your take on the current state of affairs but I fear your facts are incorrect. Here's why. The failure of the housing market was caused by shear greed. Greed by the real estate community; bolstered by the right wing of the government; eager to show the world that helping poor people is not cost productive. Every one blames Fannie Mae and Freddie Mac. Truth is both of these entities were set up to be destroyed just like they destroyed,ARCON. Any thing that helps the poor to rise above economic slave status goes against the need of big business to have the cheapest labor possible. Why? Because [Families] with home-equity can start businesses. They can afford to say no to low paying jobs, and they can determine their own futures. When buying a home the people you speak of who "chose" to buy more home than they could afford were deliberately forced into buy homes with ARM,s. The real estate agents, lied to these people; leading them to believe that they would have plenty of time before the mortgage payments went up, so they could refinance to a 30 year fixed mortgage, and that, they were getting a good deal. It kills me when people, without really knowing the facts blame Fannie,Freddie and the home buyers when the same scoundrel lies at the bottom of this housing crisis, on all levels. When these mortgage loans were foreclosed on the crooks behind schemes cashed in the gov., backed loans for the full 30 year value of the mortgages. If the loan was $125,000 then they received, 3x$125 for the defaulted loan. And thanks to their friends in the Senate; they have manage to keep every cent of their ill-gotten gain. They rolled back the regulations, they saw to it that the underwriters for HUD,the Threshold to Fannie and Freddie, were so swamped that in the interest of expediency, they would have to pass questionable paper. The really sad part about all of this is that if it were not for the greed of the Oil speculators raising the price of gas beyond what was sustainable by the average household,the housing fiasco would have never come to light. So if you going to get frustrated do so with a clear path to the facts; know who you need to be mad at and why. This shooting in the dark and following the prime time, MSNBC,CNN,AND FOX gabfests is what's convoluting the issues. I am not telling you about something I saw on TV I am relating something to you that I witnessed first hand. And there are no jobs because they are steadily shipping then to India, China, and the Phillipians; the same people shipping the jobs out have investments, in the companies they ship the jobs to; so do the Senators who blame the current administration for not creating jobs, they've got every body chasing their tales while they are laughing all the way to their banks. Interesting to read but I can't comment sinbce I live in England. I like what you had to say here. It is really a shame that BO and his house and senate members don't comprehend that THEIR laws and the uncertainty they have created is a HUGE reason that small businesses are NOT hiring. I agree that both sides contributed to this problem, but one party is ruling now, and they have only exacerbated the problem. I think it is criminal that folks like Fannie and Freddy loaned to people they absolutely KNEW would be unable to repay. Why should I be penalized for their stupidity? My husband and I were approved for a HUGE mortgage, but bought an older house for only around 60 grand, because we did not want a mortgage that WE could not afford!